Quality work and a local reputation to be proud of. All installations are carried out by Abbey Drives staff only! We’re specialists in pattern imprinted concrete (presscrete) installations custom designed to suit all requirements from driveways and patios to theme parks and forecourts. 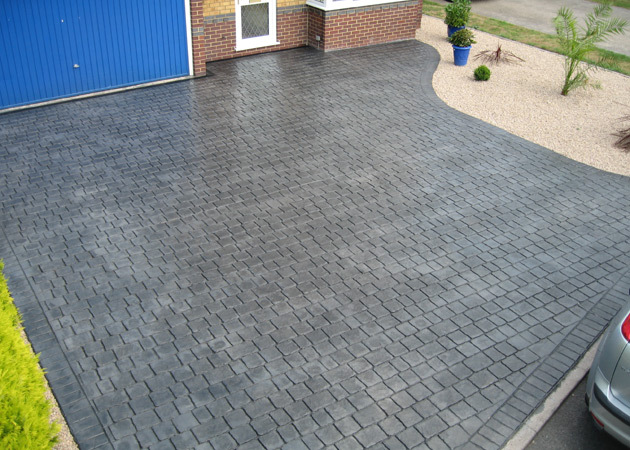 We offer a wide range of colours, patterns, textured finishes, acid stains and exposed aggregates. Abbey Drives is a family run business with over 21 years trading history. We have built an outstanding reputation based on quality workmanship and our dedication to customer satisfaction. I thought Id let you know how happy I am with my drive. I think you have a great team and its no problem if you ever need to send anyone here to look at my drive. Thanks again for a super job. Copyright © 2006-2019 by Abbey Drives. All Rights Reserved. Website designed by APB Media.